We are big fans of the little details that make a user experience beautiful. 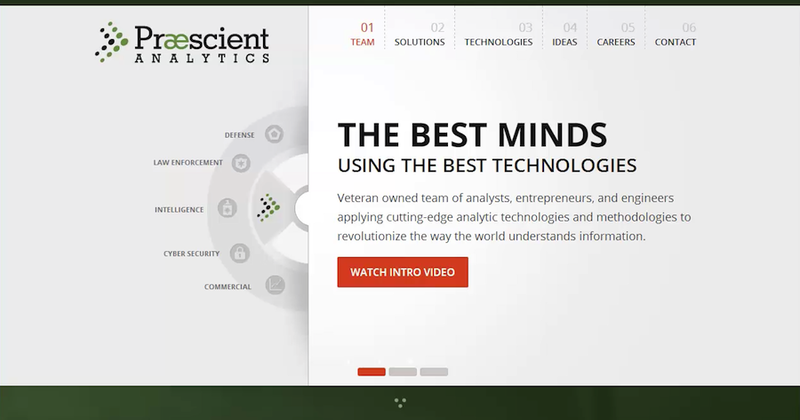 When Praescient Analytics, a local veteran-owned small business, came to us with an open mind for a website redesign, we knew we were going to have some fun honing in on those details. With a new WordPress-powered website planned for public launch in mid August, we’re excited for Praescient to reach a new level of engagement. Check out the sneak peek below. Click Below For a Sneak Peek! Want to stay in the loop about this and other WordPress projects we are rocking out? Subscribe to our enewsletter!